The FreeMotion EPIC Leg Curl F803 increases strength in the upper legs and calf muscles for activities such as walking or running. The leg assembly is padded for comfort and adjustable for a wide variety of users. The FreeMotion EPIC Leg Curl F803 is designed to provide an intense workout while eliminating strain, the F803 is hard to beat. Easy and convenient step-in design makes getting started a breeze. The EPIC Leg Curl F803 has thick, comfortable DuraFirm™ pads which reduces fatigue and discomfort allowing you keep working out. FreeMotion is here to make sure you get the absolute most from your workout, the ability to push your limits, the room to excel. The EPIC Leg Curl F803 is an industrial strength training partner that doesn't try to change how you workout, it works with you. If you are looking to bulk up and build power, or simply to tone your muscles and increase performance, the F803 is definitely the foundation of the ultimate weight system. Call 1-800-875-9145 to chat with one of our fitness advisors with any questions you may have about the FreeMotion EPIC Leg Curl F803. Order your FreeMotion EPIC Leg Curl F803 from FitnessZone today! Featuring a 205 lb. weight stack with a 5 lb. 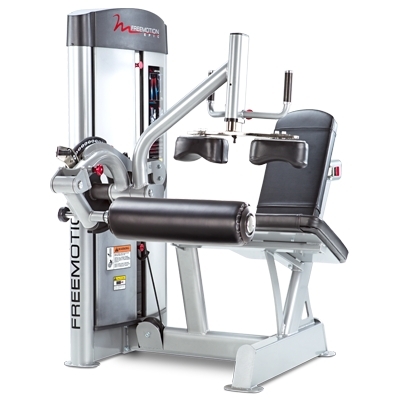 drop-down increment weight, the FreeMotion® EPIC Leg Curl delivers incredible versatility. 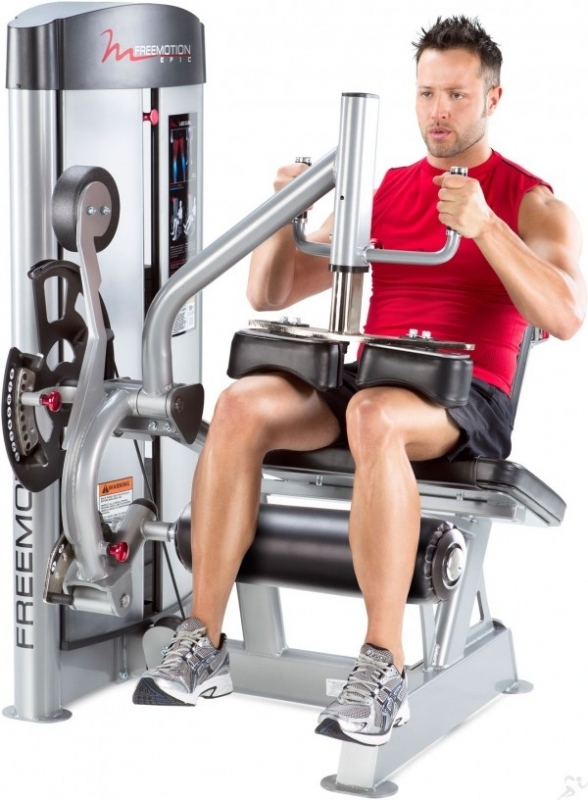 Order your FreeMotion EPIC Seated Leg Curl F803 from FitnessZone.com today!